Defensive Computing is an information security group specializing in preventive security for individuals. If you’re unsure what to do about the latest breaking threats and vulnerabilities, are concerned about your personal data being collected online, or simply want to know what you can do to achieve realistic, practical security, contact us. Although Defensive Computing is not currently taking new clients, we may be able to direct you to other resources. Adam Reiser is a Security Research Engineer in Cisco’s Advanced Security Initiatives Group. 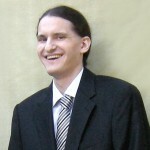 After graduating from the University of California at Berkeley with a double major in physics and applied mathematics, he performed optics research, systems programming, and web design at Acree Technologies. Inspired by the company’s entrepreneurial spirit, he subsequently founded Defensive Computing. In 2015, he accepted a position with Cisco.